Editor's Note: Below translated by Google from Italian. 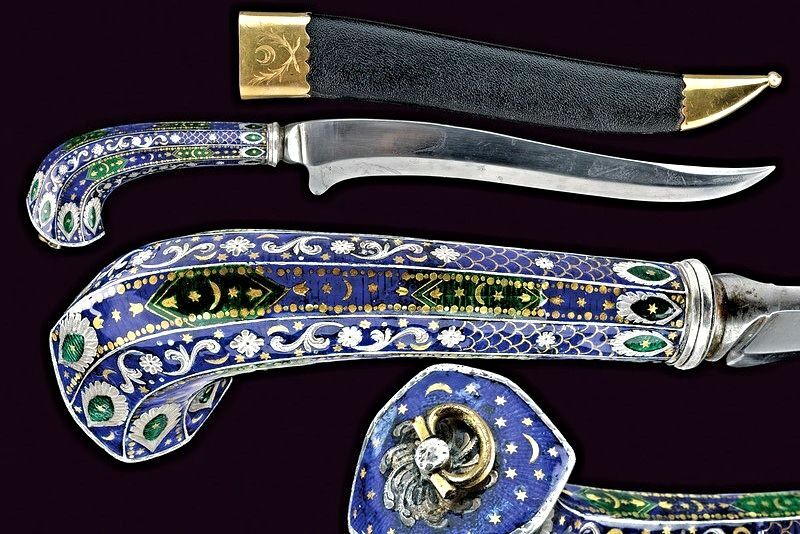 Curved blade with a wire and short controfilo; beautiful handle of octagonal silver engraved, enameled and gilded crescents, stars and floral motifs, growing and turned back towards the pommel. 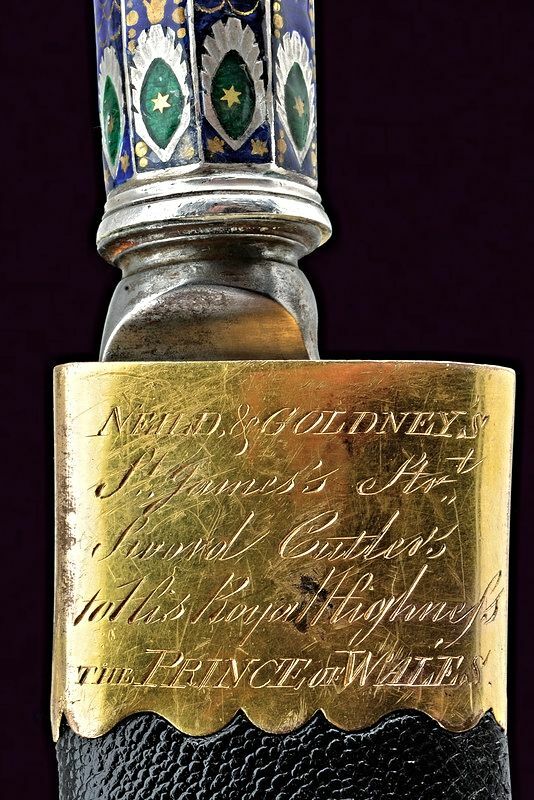 Wooden scabbard covered in leather with gilt brass mounts, the hood engraved with crescent between branches and signed in the back "Neild & Goldney's St. James Str. 's Sword Cutler to His Highness THE PRINCE OF WALES".